Need more apps for your favorite device? iOSnoops can help! Here are 60 iPhone and iPad apps that have just gone free. 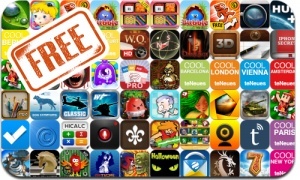 This apps gone free alert includes Bubble Birds, Don’t Run With a Plasma Sword, Flick Champions, Help Purple, Calculator 12 in 1, Judge Dredd vs Zombies, 7 Wonders: Magical Mystery Tour, Mole Kingdom, Pee Pee Boy, Cool Apps, and many others. MyCamera – Let’s Enjoy Photograph.